From our spacecraft to our APIs, we engineer our hardware and software to service the largest fleet of Earth-imaging satellites in orbit and scale our 7+ petabyte imagery archive, growing daily. Planet designs, builds, and launches satellites faster than any company or government in history by using lean, low-cost electronics and design iteration. Our Doves, which make up the world’s largest constellation of Earth-imaging satellites, “line scan” the planet to image the entire Earth daily. We launch new satellites into orbit every three or four months. 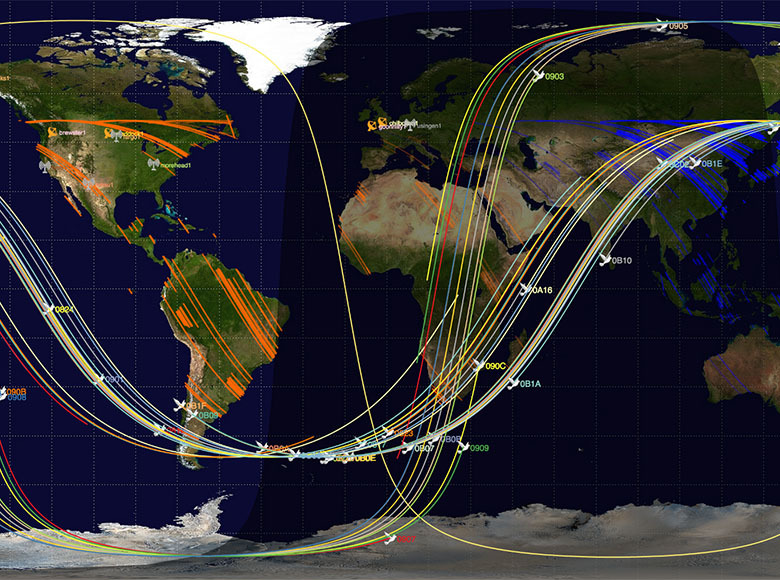 Satellites communicate a few times daily with ground stations on Earth. In addition to sending down images, we gather a variety of health data and occasionally send them new instructions or software updates. The main camera captures images of the Earth at 3 to 5 meter resolution. 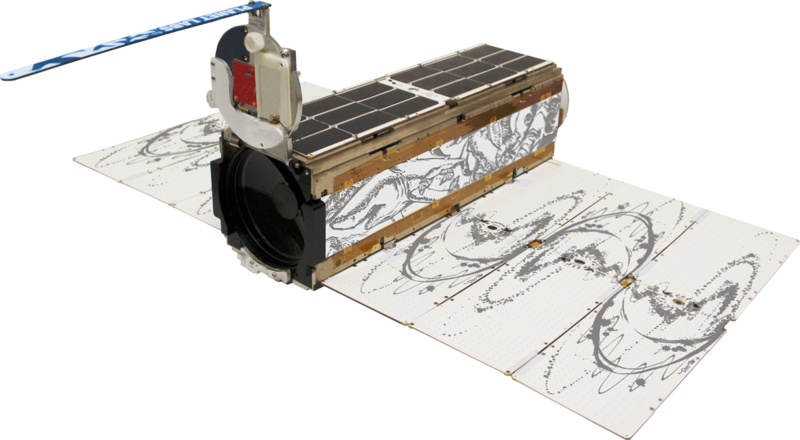 Each Dove continuously photographs the Earth’s surface as it moves in orbit, completing an orbit roughly every 90 minutes (about 16 complete orbits in each 24-hour period). The Doves carry a star camera, which allows us to position the image on Earth. Solar panels capture the sun’s rays to power the satellite, generating electricity that is stored in batteries. The solar panels are spring-loaded, remaining folded into the satellite body before deployment. In addition to housing our numerous subsystems, each Dove carries laser-etched side panels designed by our first artist-in-residence, Forest Stearns. Most Earth-imaging companies don’t build their own satellites. We’re not like most Earth-imaging companies. 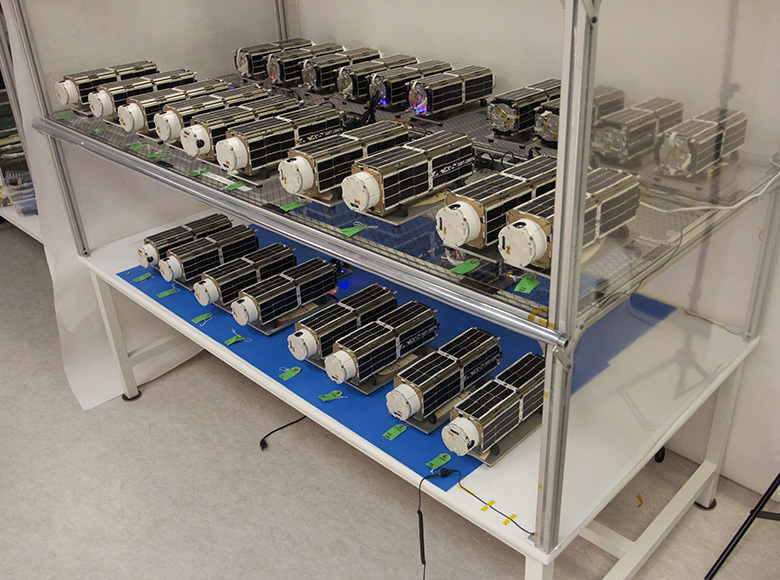 Planet designs and builds its satellites in-house, allowing us to iterate often and pack the latest technology into our small satellites. Complete vertical integration enables us to respond quickly to customer needs and perpetually evolve our technology. Operating one satellite is a challenge. Operating two hundred is unprecedented. Our Mission Control team uses patented automation software to manage our fleet of satellites, allowing just a handful of people to schedule imaging windows, push software in orbit, and download images to 30 ground stations throughout the world. Planet processes and delivers imagery quickly and efficiently. We use the Google Cloud Platform and enable custom processing so that customers can to tap directly into our data, the same way we do. 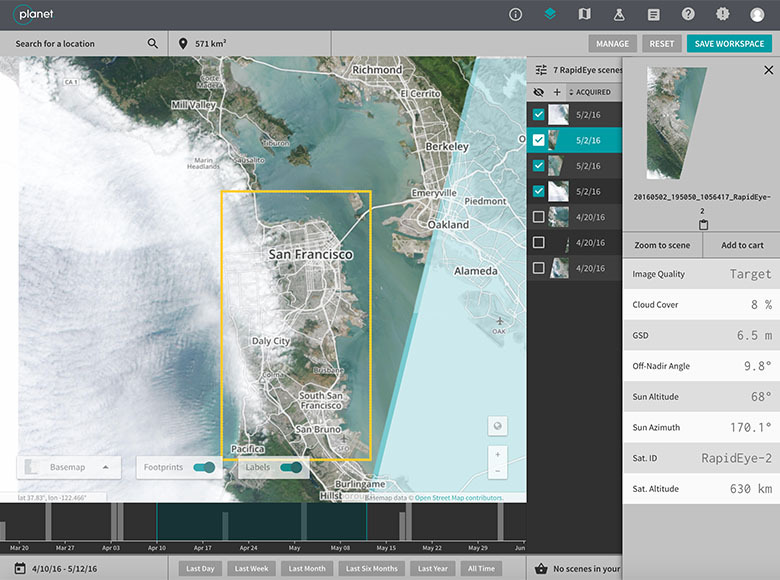 Our data pipeline ensures easy web and API access to Planet’s imagery and archive. We make every scene available as a tile service, composite scenes into mosaics, and build time-sliced mosaics so you can see change over time.